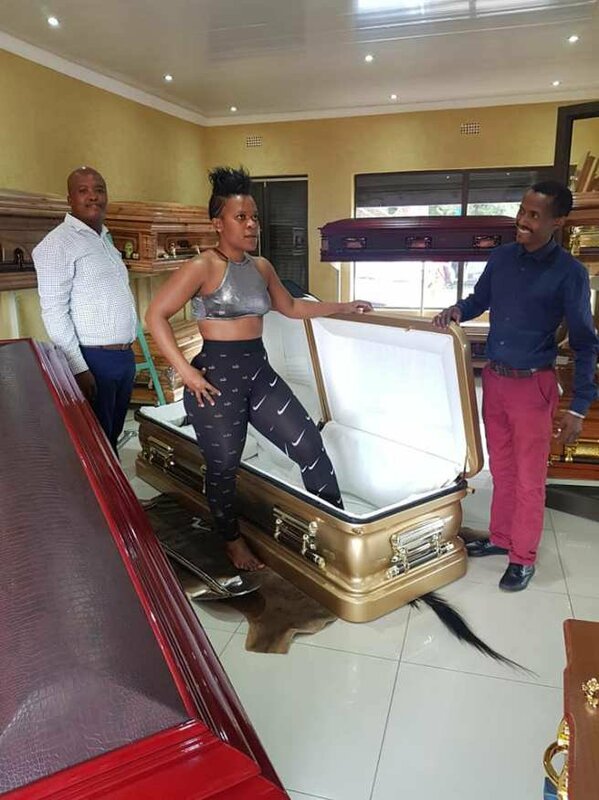 The South African ‘pantless dancer’ Zodwa Wabantu who posed for photos shortly after she bought her coffin, disclosed that it is worth 150, 000 rands (approximately N4million). 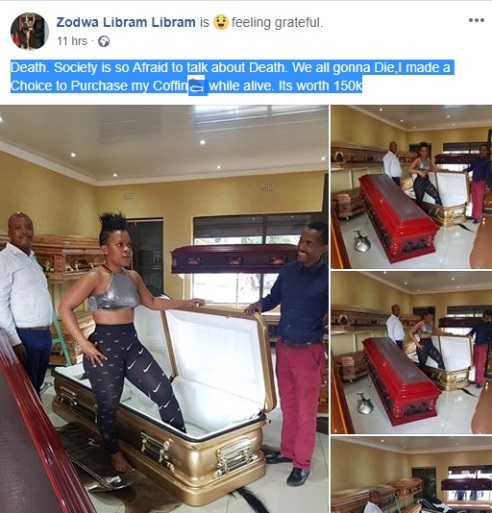 She wrote on Facebook: "Death. Society is so Afraid to talk about Death. 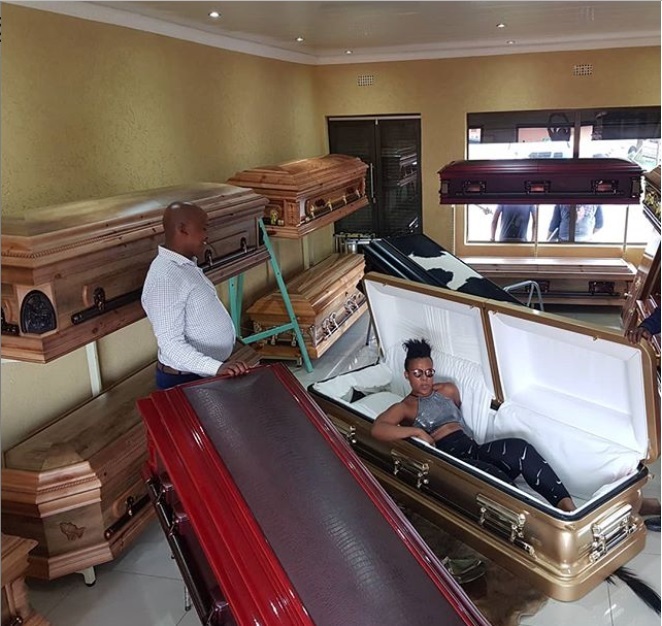 We all gonna Die,I made a Choice to Purchase my Coffin while alive. Its worth 150k."